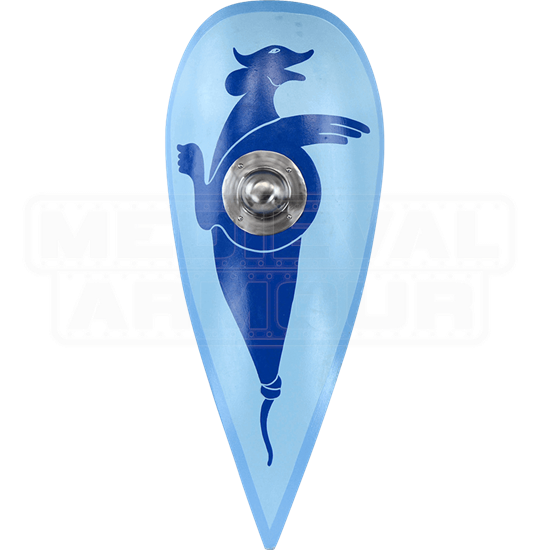 This classic kite shield is just the defense that a warrior would want to carry into battle. And even better, this Knotted Fox Shield is more than just a solid defense, as its face features a simple yet impressive design that is quite eye-catching. 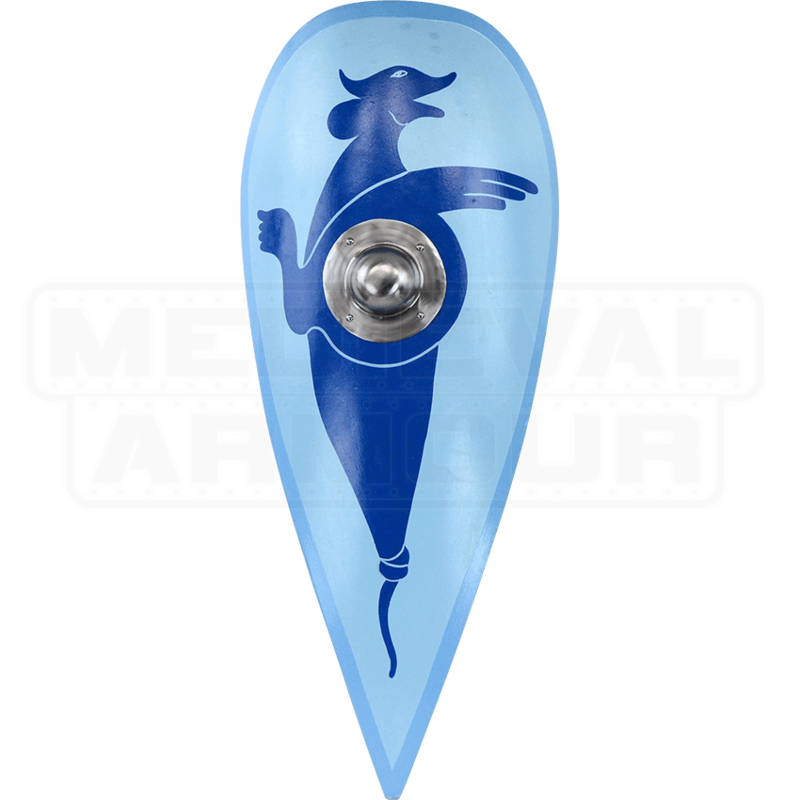 Early kite shields, like the ones utilized by the Normans, were often a reversed tear-drop shape, just like this shield, with a rounded top and edges that taper down to a distinctive point. The shield face features a polished brass boss at its center to provide for extra defense, while also featuring a white backing. Painted over the white backing is a blue Celtic-styled fox design that is tied into a knot around the center of the shield, with the tail-end of its body hanging down towards the point of the shied, where it is tied into a second knot. The back of the shield features two leather straps for carrying and wielding. Of course, with its distinctive design, this Knotted Fox Shield would make a great decoration if added to anyones decor or personal collection, although it can also be used to accent a variety of medieval warrior costumes, ranging from Normal warriors to Celtic fighters to Viking raiders and more.